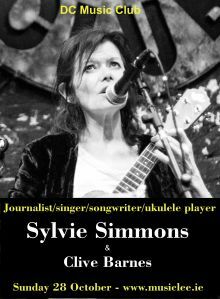 She has compiled and/or authored a number of liner notes for artists ranging from David Bowie to Emmylou Harris, Leonard Cohen to the Red Hot Chili Peppers. The best-known is the widely regarded book she wrote, at the request of Johnny Cash and Rick Rubin, for a Johnny Cash box set "Unearthed" (American Recordings, 2003). This turned out to be Cash's first posthumous release, and their interview – conducted over a one-week period at Cash's home less than six weeks before he died – the last major interview Cash would give. In addition she is the author of several acclaimed books. These include the biographies of Neil Young, the inaugural release in MOJO Magazine's MOJO Heroes book series, and the highly lauded Serge Gainsbourg: A Fistful of Gitanes (J. G. Ballard chose it as his book of the year) which has been translated from the English original into eight languages.